Great Photo Prop at your next photo session or for a special occasion. Perfect gift for Baby Shower, Birthdays and many more! 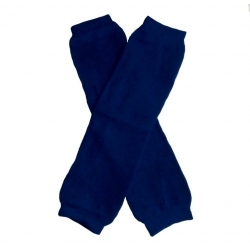 Baby leg warmers are perfect for keeping her legs warm, and protect her little knees when crawling, helps with potty training as well. Helps make diaper changing a little easier. One size fits newborns through 6Years, about 12" in length.